Teaching abroad can open the door to many different possibilities. China is a great place to start teaching because English teachers are in high demand and the cost of living is quite low. If you’re new to English teaching in China, here are a few tips to have the best experience possible. Most schools in China are reputable, but not all. Carefully choose several schools that interest you by reading online reviews. 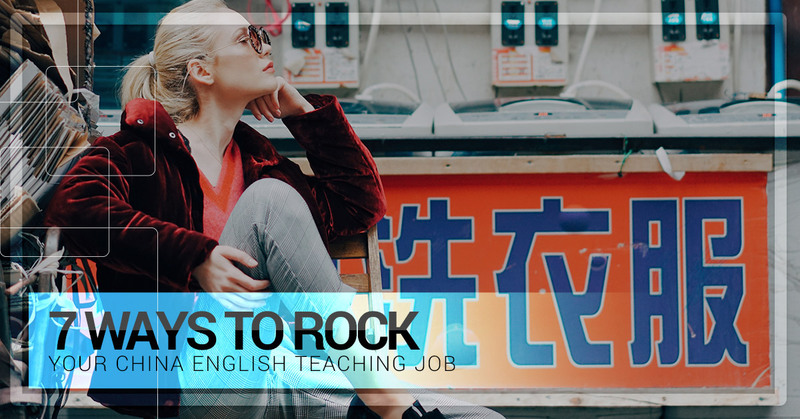 Once you have narrowed the list down, contact a few of the schools that offer interesting English teaching positions and ask to talk with past or current foreigners. This is a great way to get a real feel for the school. Living in a foreign country is not easy, but that’s what makes it exciting. China is still a developing country and may not have all the luxuries you were used to back home. Be patient and positive when faced with difficulties and you’ll get in the habit of looking for the good in everything. Many teachers who come to China often leave before traveling around the country. They unfortunately develop a very narrow opinion of China. The Middle Kingdom is extremely diverse and varied. Each province is almost like its own country with different ethnicities, scenery, food, dialects and traditions. Invite them over, bake them cookies, or bring them some soup if they are sick. The more you get to know your co-workers, the more fun you will have at work and the more people you will know who can help you with language difficult tasks such as ordering Chinese food, fixing problems with your apartment, etc. Being fluent in Chinese may not guarantee that you have the best time possible in China, but it’s 100% certain that it will make life easier for you. Most Chinese students have about 10 years of English education by the time they graduate high school. However, they may have had few chances to actually speak the language. Make sure to incorporate lots of activities that make the students feel comfortable making oral mistakes so that they increase their participation in class. If your style of English teaching is simply lecturing all day, that is boring for both teachers and students. Start a blog as soon as you arrive in China to document your good and bad experiences while English teaching. Before you arrive, you can also read up on advice from other teachers who have been there and done that in order to prevent repeating their mistakes. If you have any questions about teaching in China, contact us at Top Notch ESL! We have a wide variety of teaching positions available in cities all across China.